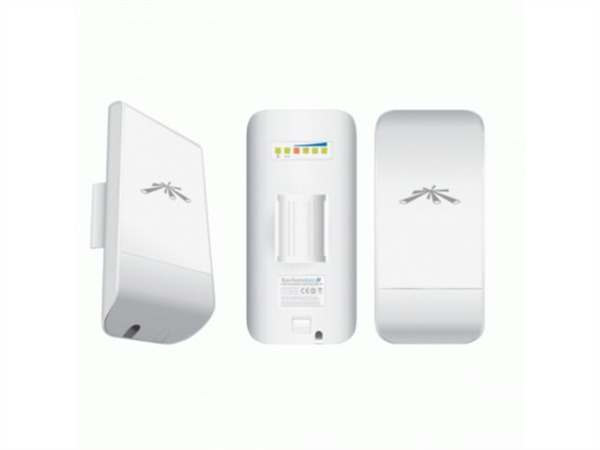 The NanoStation locoM5 Indoor/Outdoor airMAX CPE from Ubiquiti Networks is a cost-effective and reliable solution for high performance. It features up to 10km of range performance, 25+Mb/s of throughput performance, an intuitive AirOS by Ubiquiti. The NanoStation Loco also features broadband wireless CPE technology. NanoStation5 Loco exhibits optimal antenna performance. NanoStation5 Loco maintains 13dBi of dual-polarity antenna gain in a compact form-factor using an efficient and innovative patch array antenna design.